Built in traditional Tibetan style, this temple is the exception rather than the rule in South India. It is, though, what you would expect to find in this Tibetan town. 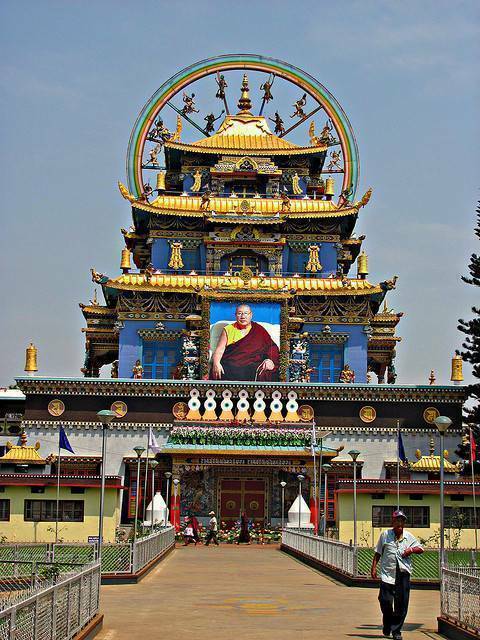 His Holiness PemaNorbu Rinpoche established the spot, which was later consecrated by the Dalai Lama. Today the monastery is home to five thousand monks and nuns, and is a center for Buddhist teachings.